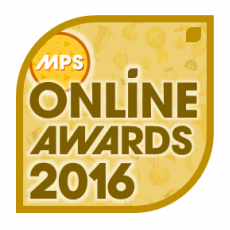 ​MPS Online Awards 2016 is the 3rd installment of MPS Online Awards which gives recognition for those who made it big last year in the OPM and International music scene. It has 16 different categories to vote for including a new category and 3 renamed categories. Fans voted online via MPS website and for the first time 1 vote per IP address per 24 hours per category policy was used. Nominees were announced on April 1, 2016, 6pm via MPS Facebook page. Leading the nominees were Sarah Geronimo, Darren Espanto and One Direction with 6 nominations each. Awards night was held on May 28, 2016 in celebration of our 4th anniversary. One Direction leads MPS Online Awards 2016 with 6 awards in total. e-Certificates and social media recognition were given away to the winners.